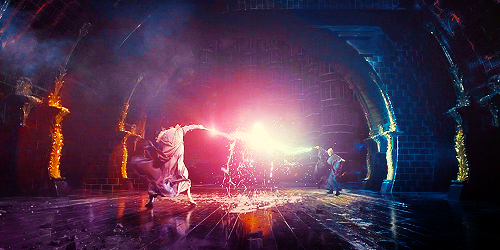 Dumbledore vs. Voldemort. . Wallpaper and background images in the Гарри Поттер club tagged: harry potter jk rowling tumblr. This Гарри Поттер photo might contain концерт, огонь, пламя, инферно, and ад.